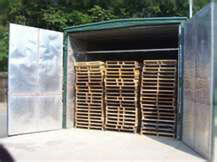 At Timber Products Inspection (TP), we know the treating industry. As the largest independent agency for treated material in the industry, numerous facilities nationwide turn to us for our expertise. Ourexport wood packaging program was one of the first programs to certify pest eradication treatment. TP offers an inspection certification program to oversee 2 types of treatment to ensure ISPM15 compliance is met and maintained. As the largest provider of IPPC Heat Treatment certification services for ISPM15, TP’s technical expertise of heat/drying systems is unmatched. We know the lumber and pallet industry and stay up to date on changes and updates in the market. The Fumigation certification program is offered thru Timber Products Services (TPS), a sister company of Timber Products Inspection. The Fumigation treatment is often used for unexpected and/or infrequent exports and takes place at the shipment site in a controlled setting. For both treatment options, TP has a team of professional Field Inspectors that are ready to provide monitoring at your facility. You’ll also receive the best information regarding access to certifying stamps, training on stamp use and record keeping, technical assistance and export compliance consultation. 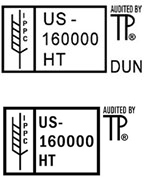 Once TP certifies a facility, a mark can be applied to the product. 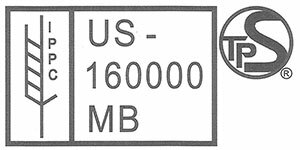 The ISPM15 program is overseen by the USDA and implemented by the American Lumber Standard Committee (ALSC). FOR WPM, ISPM15 is the specific regulation overseen by theInternational Plant Protection Convention (IPPC) which developedthe International Phytosanitary Measure to address the need to treat wood packaging materials that ship internationally. Give us a call today to discuss your export needs! At Timber Products, our goal is to provide you with pertinent information to maintain and obtain conformance in the WPM program. However, if you are interested in onsite facility training by one of our inspectors, please contact our Conyers office for more information.